Mark A. Prichard passed away on March 27, 2019. He was 62. Mark was born in Canyon, Texas on September 19, 1956 to Ara and Melba (Strout) Prichard. 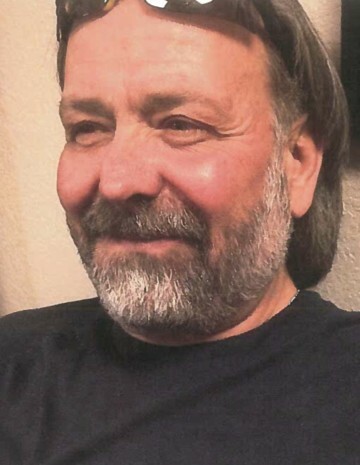 Mark was a resident of Corpus Christi, Texas for the past five years and formerly of Amarillo, Texas. He was a self-employed carpenter. Preceding in death is his wife: Sylvia Prichard; and his parents: Ara and Melba Prichard. Survivors include his son: Shane Prichard; brothers: Gary Prichard (Debra) of Corpus Christi, Texas and Randy Prichard (Laura) of Illinois; sister: Linda Thompson (Tommy) of Nashville, Tennessee; numerous aunts and uncles. A Memorial Service will be held on Tuesday, April 9, 2019 at 11:00 AM at Resthaven Funeral Home, Aransas Pass. A formal obituary will follow.